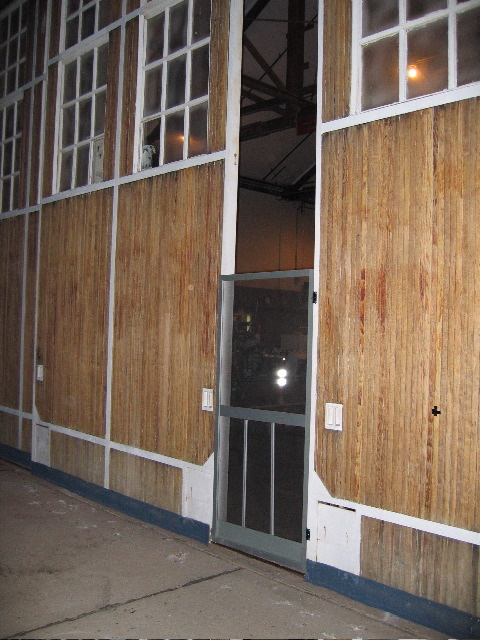 The screen door in the hanger doors, from the outside. That's redwood in the doors. This hanger was built in the early 1940s.